So are y'all all keeping track? This is dessert number 3 for Mary and me. Oh my goodness, I did not think it was humanely possible, but then again, I was warned that we would have a lot of time to kill and that we should save room for lots of desserts. After dessert number 2 at Cloud 9, our friend Faith finally joined us and she hadn't eaten yet. It was a bit too late to grab real food, but she said she wanted to eat froyo, so off we went to Bucktown to go check out the new self-serve frozen yogurt place called Forever Yogurt. Self-serve froyo has been really popular in Southern California for several years now, so it's no wonder that Chicago would soon follow with their own version. They have fourteen different flavors, of which two are tart. They have some really eclectic flavors, like red velvet, cake batter and cheesecake. They have little sample cups so you can try the different flavors. 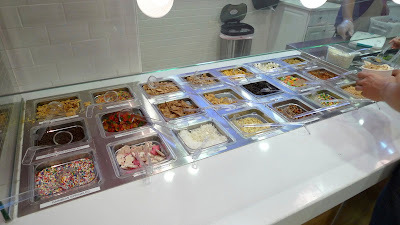 After you swirl yourself your own cup of frozen yogurt, you move on to the toppings bar, where they have fresh fruit, cereal, nuts, chocolate, gummy bears and sprinkles-galore. They then weigh your cup and charge you 50 cents an ounce. 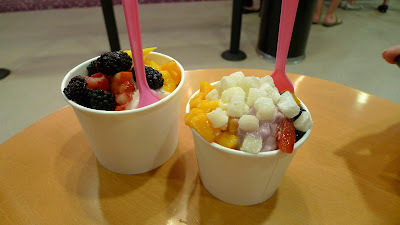 I totally remember Yogurtland in San Diego costing me 30 cents an ounce. 50 cents is a little outrageous if you ask me. Yogurtland or someone else needs to open up a competitor pronto. 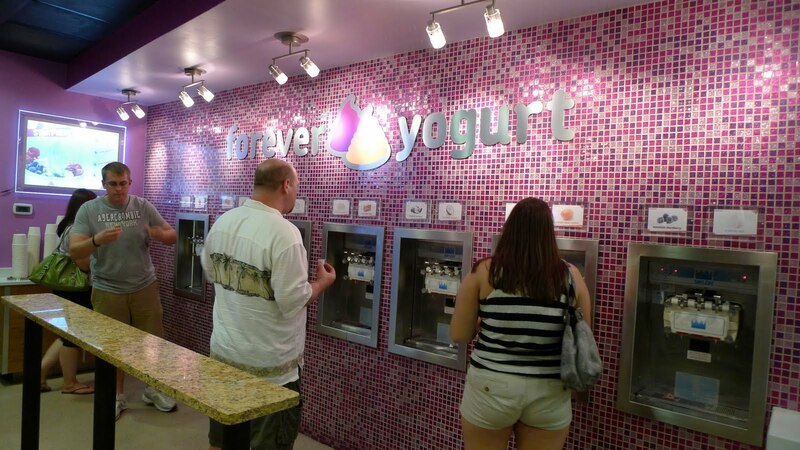 Forever Yogurt, however, is the only self-serve place I've seen so far, so they are doing really well for themselves and have rapid plans for expansion. Check out Mary's frozen yogurt, which is the one on the right. She got a small cup and thought it would force her to get less froyo, but as you can see, she piled on the toppings. That's where you have to be careful, because the toppings will do you in. Her small cup of yogurt ended up being $8! Faith's cup on the right was much cheaper, although it looks bigger. We had a good laugh over it. 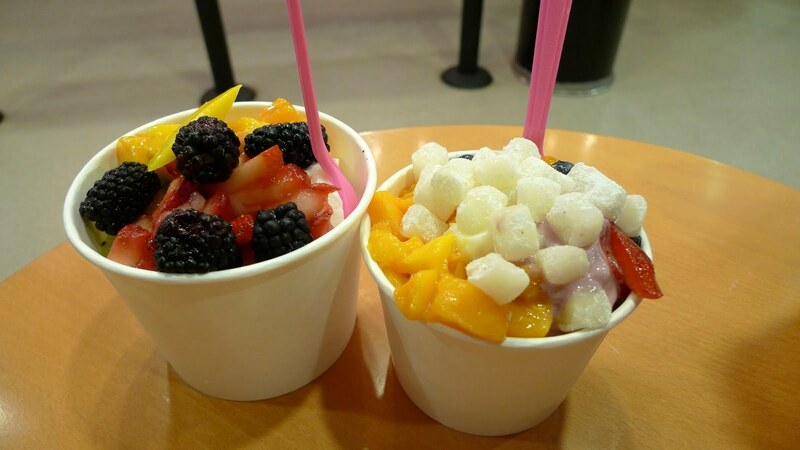 Since we're talking about frozen yogurt, you know what else they need to bring to Chicago? Golden Spoon! That place is like crack. haha ... yes, it was a little crazy. the funny thing is.. i'd do it again in a heart beat :) love froyo. I know, it's ridiculous! Is there one near you?